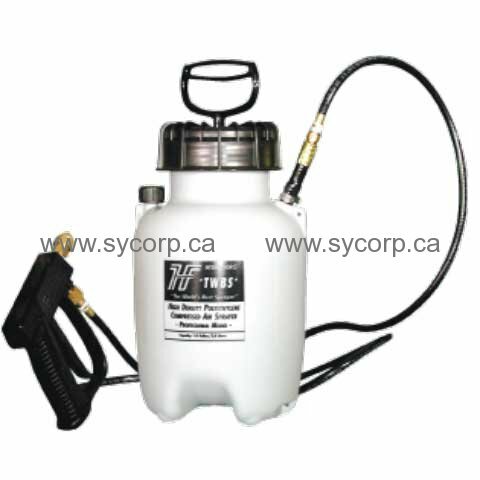 The TWBS 1-gallon sprayer has a comfortable, durable spray gun, spray tip straining and check valve, and a 10˝ flexible hose. It is best used for upholstery prespray, solvent or water-based protectors, wall washing, or neutralizing-chemicals. Each sprayer if fully viton fitted, includes pressure guage/relief valve, and is fitted with brass fan pattern jets.